Carbon Monoxide Awareness Week 2017 is coming up, taking place this year in Ireland from 25th September to 1st October. The year marks the sixth annual campaign which highlights the dangers of carbon monoxide and aims to promote awareness of the risks associated with the gas and the measures that can be taken to prevent it. Carbon monoxide (CO), commonly known as the ‘silent killer’, is a colourless and odourless gas and can kill in less than three minutes. On average, six people in Ireland die every year as a result of unintentional carbon monoxide poisoning and many more are made ill. Carbon monoxide can be produced by any fossil fuel when burned – coal, turf, oil, gas or even wood. 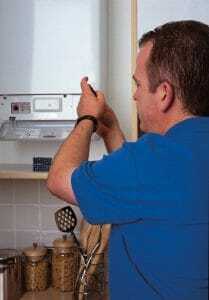 There are a number of preventative measures that can be put in place to reduce the risk of CO poisoning. 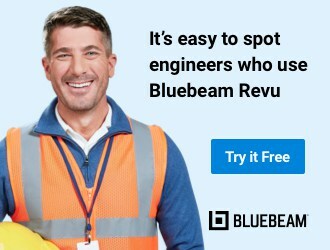 They include having your fuel burning appliances serviced annually by a Registered Gas Installer, Registered OFTEC Technician or qualified service technician for your fuel type. For added protection, audible carbon monoxide alarms should be installed where fuel burning appliances are used. 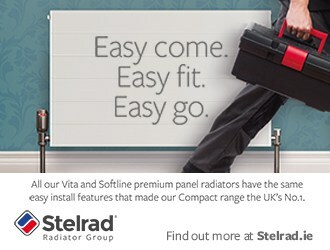 4) If in doubt, seek expert advice from a competent installer. The awareness week is a public safety initiative supported by organisations across the energy sector and related industries as well as safety and public health bodies including the Commission for Energy Regulation (CER), the Department of Communications, Climate Action and Environment, Gas Networks Ireland, the Register of Gas Installers of Ireland, the Oil Firing Technical Association, the National Standards Authority of Ireland, the Health Service Executive, the Health and Safety Authority, the Chief Fire Officers’ Association and major Irish energy retailers. 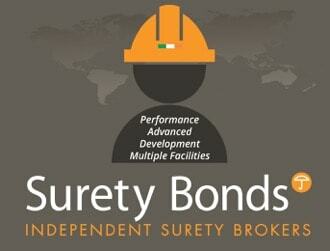 Each year, extensive advertising runs throughout the campaign including TV and radio promotions and online. Interviews with experts in the field and people who have been affected by carbon monoxide poisoning will also feature across the media. There will also be an extensive social media campaign. The Minister for Communications, Climate Action and Environment, Denis Naughten, T.D., is expected to launch the campaign on Monday 25th September. 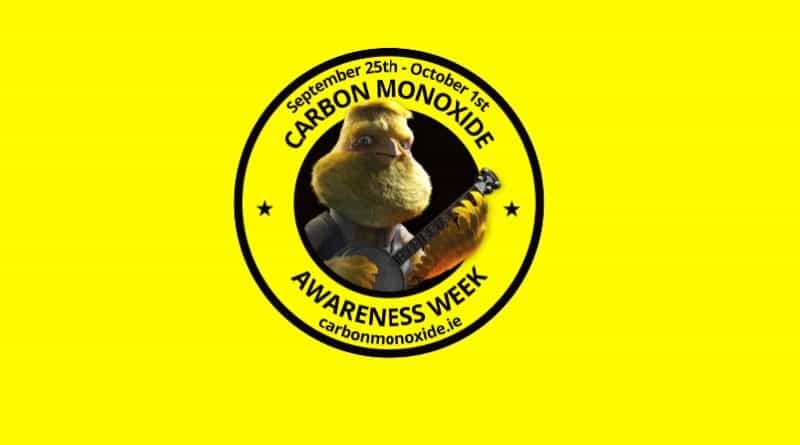 Organisations that are interested in supporting the campaign can avail of free Carbon Monoxide Awareness Week posters, flyers and information leaflets for display and distribution to staff and customers. Please contact the Gas Networks Ireland contact centre on at networksinfo@gasnetworks.ie or on 1850 200 694 for more information. As well as that, Registered Gas Installers and Registered OFTEC Technicians will be able to receive promotional materials directly by contacting the RGII and OFTEC. As there will be extensive advertising in the run up to, and throughout Carbon Monoxide Awareness Week, queries and questions about carbon monoxide may increase. Gas Networks Ireland is also encouraging all retailers who stock carbon monoxide alarms that comply with European Standard EN 50291, to ensure they are CE marked, have an audible end of life indicator and feature the mark of independent certification such as a Kitemark. 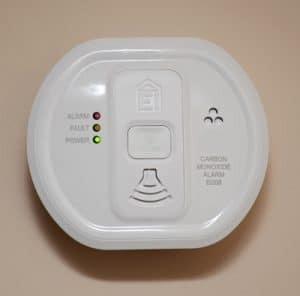 Carbon monoxide alarm manufacturers, EI Electronics and Fireangel are supporters of Carbon Monoxide Awareness Week and may be able to provide branded merchandising material to enhance the messaging around the overall campaign.